Let’s foster better relations between the media and the spokesmen/women for the agencies we cover! Sometimes it seems like we can’t. Let’s get together and hear from both sides. What works well and what doesn’t? What do you wish that spokesman would do to make your job as a reporter better? Spokesmen, what do you wish reporters would realize about what you do? There will be a panel discussion, but most of the session will be an open discussion with everyone in attendance. 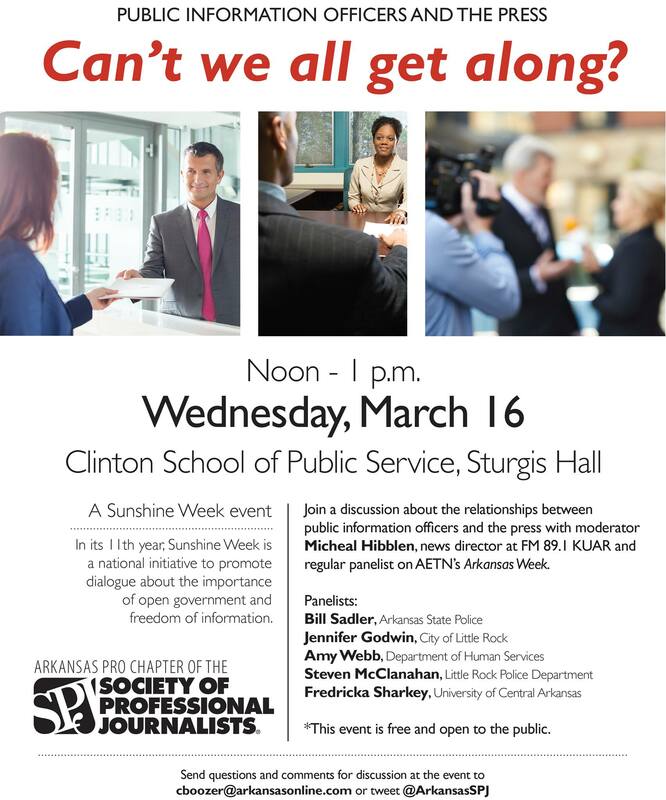 Journalists and PIOs are invited to this important discussion! Visit us on Facebook to RSVP!